Donald Duck is my favorite Disney Character, and it is interesting to see just where he came from. Here is some Donald Duck history for you. Donald Duck was created on the 11th of June 1934 at Walt Disney Productions. He is six years younger than Mickey Mouse. Walt Disney thought up Donald Duck when he heard Clarence Nash doing his “duck” voice while reciting Mary Had a Little Lamb. 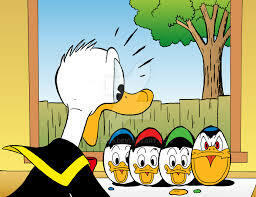 Disney needed a cartoon character that was more negative than Mickey Mouse, so the bad-tempered Donald Duck was born. Clarence Nash voiced the character from 1934 to 1983. He then trained Tony Anselmo to take over after that. Donald Duck is an anthropomorphic white duck with an orange-yellow bill legs and feet. He normally wears a sailor shirt and cap with a black or red bow tie and no pants. That part of Donald Duck History hasn’t changed much. The reason that I love him is his temperamental and mischievous personality, as well as his just-just intelligible speech. Donald has a very short temper, but also has a positive outlook on life. Maybe your reasons are different. 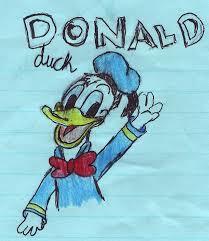 In the Disney family of Mickey Mouse, Goofy, Pluto and other friends, Donald is known as the trouble child. A lot of his shorts start with him in a happy mood, but then something always comes along to ruin his day. His temper is the cause of many bad days in his life, as it has caused him to get in over his head and lose competitions and arguments. Sometimes he fights to keep his temper, which he can only do temporarily, but always returns to his normal angry self in the end. Donald loves to show off and brag because he is a Jack of all Trades and good at quite a lot of things. Donald Duck loves to play pranks. He almost never intends to hurt anyone, and whenever his pranks go too far, he is always very regretful. Donald Duck is also very tenacious. He can be very lazy at times and is known to take over the hammock. But once he has committed to accomplishing something, he hones on it 100 percent, even resorting to extreme measures to reach his goal. He is a bit out of shape rather lazy, and he doesn’t like to exercise. But despite this Donald Duck proves that he is physically strong in the short film Sea Scouts. In this film, he is travelling in a small boat with his nephews when it is attacked by a shark. Donald makes several brave attempts to defeat the shark, each of which prove ineffective until he gets in a single well-place punch. He has served as a commando in the film Commando Duck and was also frequently away serving in the U.S. Navy in the television series DuckTales. He is almost as famous as his good friend Mickey Mouse. Believe it or not, Donald Duck has appeared in more films than any other Disney character. He is also the most published comic book character in the world outside of the superhero genre. There is quite a bit of rivalry between Donald Duck and Mickey Mouse, which is evident in quite a lot of the shorts made about them. 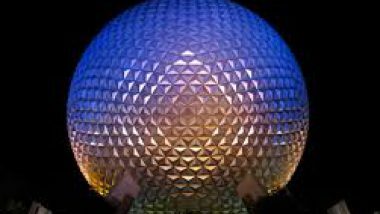 One of them is where Donald wanted to change House of Mouse into House of Duck. His first movie appearance was in The Wise Little Hen. He was then given his own movie series in 1937, where he met his love interest Daisy Duck. The films also often featured his three nephews Huey, Dewey, and Louie. 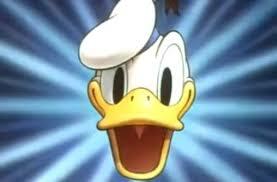 Did You know that Donald is the only major Disney Character with a middle name – Fauntleroy. This middle name was revealed in the 1942 film Donald Gets Drafted. He also has a twin sister whose name is Dumbella. After his film Chips Ahoy in 1956, Donald Duck went on to make a bunch of educational films. He eventually returned to theatrical animation in 1983 with Mickey’s Christmas Carol. His most recent appearance in a theatrical film was in 1999 in Fantasia 2000. 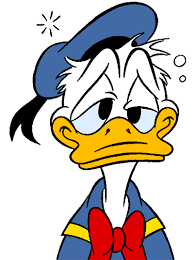 Donald Duck has accumulated a whole bunch of enemies over the years including Chip ‘n Dale, Pete, Humphrey the Bear, Spike The Bee, Bootle Beetle, Witch Hazel, Mountain Lion Louie, Aracuan Bird, Baby Shelby, The Beagle Boys, Magica De Spel, Gladstone Gander, Mr. Jones amongst others. Over the years, Donald Duck has had his name used to promote soccer, orange juice, video games and even Asteroid 12410 was named after him. 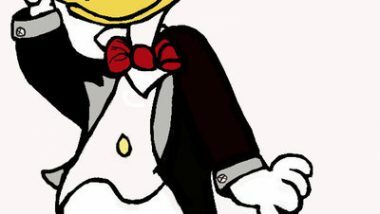 Besides animation, Donald Duck is mainly known for his appearances in comic books. Please comment below on why you find Donald Duck so irresistible.